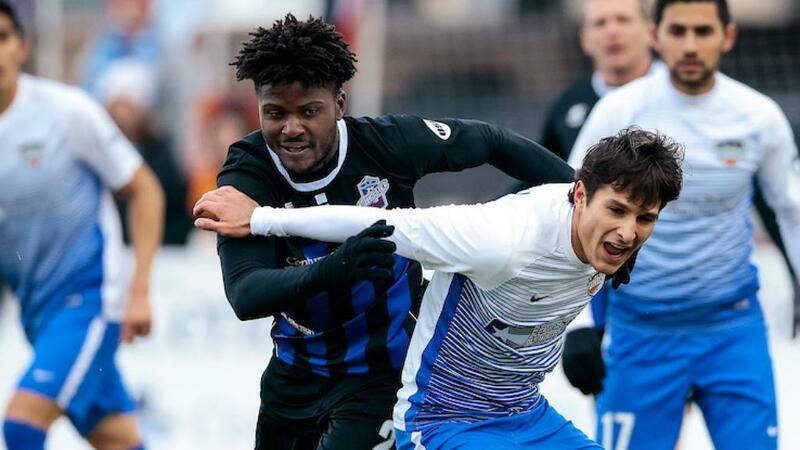 COLORADO SPRINGS, Colo. – For the first time, Colorado Springs Switchbacks FC managed to defeat Rio Grande Valley FC, scoring two goals in a strong seven-minute period to defeat the Toros 2-1 at Weidner Field on Saturday night. Things were even throughout the first half, with neither side really able to assert its dominance on the match. After working hard to start the second half the Switchbacks opened the scoring in the 63rd minute through an incredible free kick from defender Josh Suggs which was swung into the far post through a sea of legs and emerged out of the reach of everyone and found the back of the net. The Switchbacks' good passage continued in the 69th minute when forward Tobenna Uzo was brought down in the penalty area allowing midfielder Jordan Burt to step up and shot powerfully from the spot out of the reach of the goalkeeper. An interesting finish was set up in the 80th minute as a perfect run across the face of goal allowed RGV forward Aldo Quintanilla to head home midfielder Jesus Enriquez’s cross, but it would only be a consolation goal as the Switchbacks held on for the win. 1. With both teams looking for a win to get their seasons going, things were hotly contested throughout the match. The Toros had more of the ball, managing to hold 56.3 percent possession but showed why they are winless, as for all of that possession they failed to make it count in the final third. 2. Colorado Springs came into this match having never defeated Rio Grande Valley FC in four previous meetings, but a strong attacking performance saw that come to an end as the Switchbacks outshot the Toros (8-5) and got the reward for it. 3. Things had been looking bad for the Switchbacks offense after a lengthy scoreless streak coming into this match. But Suggs' goal, which arrived through a little bit of good fortune in the 63rd minute, stopped that clock at 368 minutes, and spurred the Switchbacks on as they kept the attack up and added a second just seven minutes later. Jordan Burt, Colorado Springs Switchbacks FC – Burt converted his penalty kick but was active throughout the match, managing an 83.3 percent passing accuracy, creating one chance in addition to scoring the clinching goal.